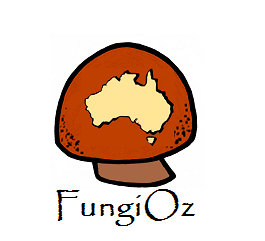 Fungi Cap: 75 mm, convex becoming flat, slimy, white threaded cortina, canary yellow with darker amber centre at maturity. 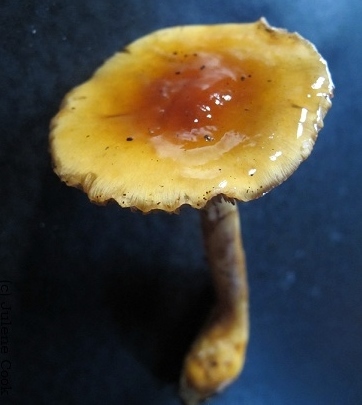 Fungi Gills: Fawn yellow in maturity, edge laminae. 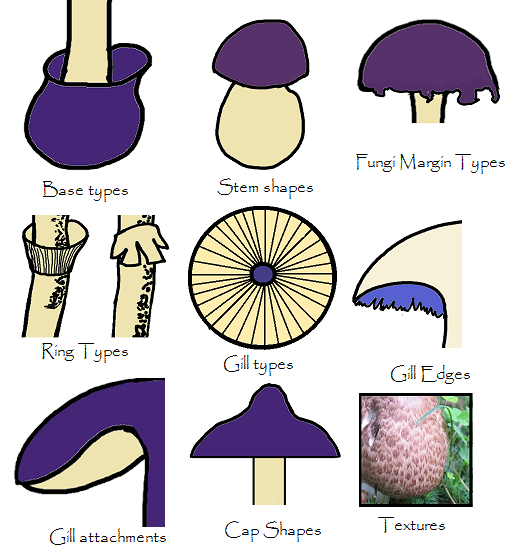 Fungi Stem: White with yellow covering, basal bulge, slimy, brown spore stain in maturity. Found: Mixed eucalyptus woodland. Forrest, Australian Otway Ranges .